Blessed with most beautiful beaches in the world, Andaman and Nicobar Islands is a dream destination for beach-loving couples. 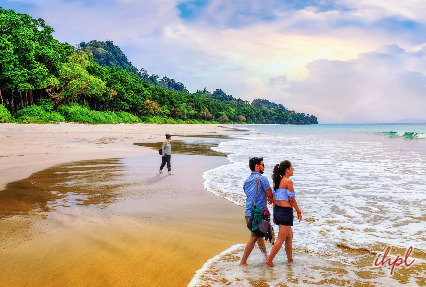 The 5 Nights 6 days Andaman honeymoon package by Indian Holiday is meticulously designed to offer a delightful romantic vacation in Andaman Island. 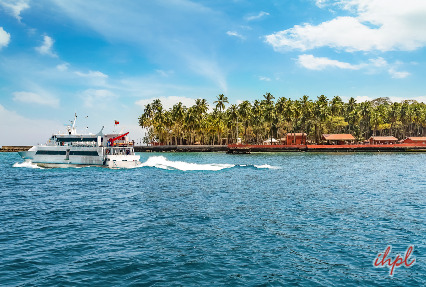 While on your Andaman honeymoon tour, explore sun-kissed shores, blue waters and thriving marine life. The relaxed pace of life will make you fall in love with the seaside. A plethora of things to do will leave you spellbound during your Andaman and Nicobar Island trip. Enjoy the warm seashores, water sports and lazing around the beaches. Bask in the tropical bliss creating cherished memories during your honeymoon trip in Andaman. 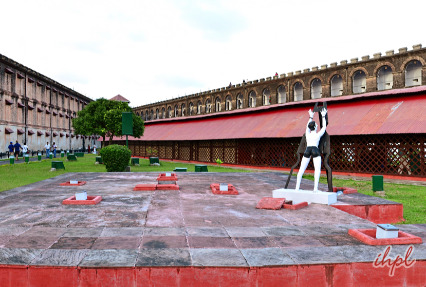 In the evening, make your Andaman tour special by attending the captivating Sound and Light Show at Cellular Jail. Shows take place at 1800 or 1900 hours, (depending on ticket availability and weather conditions). Music and light bring to life the valiant history of the Indian freedom struggle. Your honeymoon trip to the Andaman Islands starts early in the morning as you proceed to depart by ferry from Port Blair to Havelock. It takes up to 2.5 hours to reach the heavenly island. On arrival, de-board and proceed towards the selected hotel. Check-in and relax for a while. In the evening, visit Beach No. 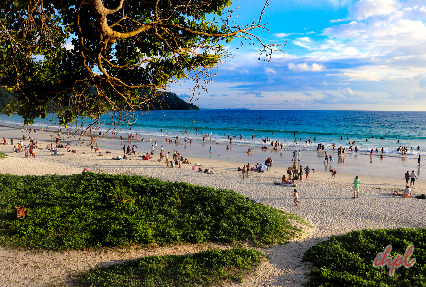 7, the Radhanagar Beach which is rated as the 'Best Beach in Asia' by Time Magazine. A romantic walk along the beach and mesmerizing sunset views are sure to make your romantic Andaman honeymoon a memorable affair. Charmed by the beautiful seashore, return to the hotel to relax. Today an excursion to the Elephant beach is scheduled in your Andaman tour itinerary. You will proceed for the island at 0700 hours. The boat will leave at 0730 hours. It will take 25 minutes from Havelock. Get ready for an unforgettable snorkeling trip. Blessed with serene shallow waters, the archipelago is the perfect place to pay a visit to the hard coral reef hardly at a depth of about 1 meter from the shore. Plenty of marine life inhabit the waters. 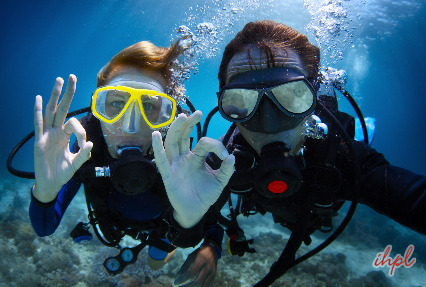 Gear up and go exploring the underwater world. Or else, you can choose to spend the day lazing on the scenic beach and relaxing. After the well spent day on the beautiful beach, recuperate from the exciting adventures. Return to your Havelock island hotel for a night stay. Spend the day relaxing on the beach or choose from a number of optional activities. 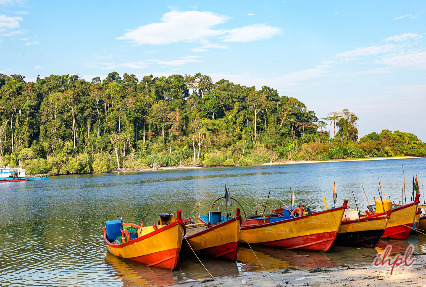 Your 5 days Andaman tour itinerary gives enough time to explore Havelock Island by yourself. Revel in the spectacular views or try out the delights of the island. Go to Radhanagar Beach or hire a scooty to delight in a memorable ride. You can also go shopping in order to buy souvenirs. After spending the day leisurely, return to the hotel for an overnight stay. Start the day 5 of your trip leisurely. After having your lunch, check out of the hotel. 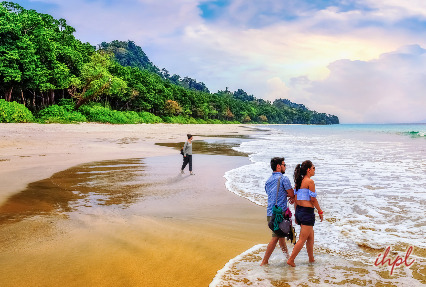 Your Andaman Nicobar honeymoon package also includes an excursion to the Kalapathar Beach, a scenic beach, accessible through a wonderful coastal road. Spend an hour and then proceed to the jetty at Havelock to return to Port Blair in the evening by the ferry at 1545 / 1630 hours according to availability. On arriving at Port Blair, check-in your hotel and relax. The tour ends with your departure from Port Blair. Return home with affectionate memories of the wonderful beaches of Andaman and Nicobar Islands.